Billy Karlin joins The Meltzer Group as a producer in the Group Benefits division. His experiences in that role assisted in the development of Meltzer Karlin Property & Casualty, where today he serves as the division's President. Jaclyn Lorden joins the firm in the Group Benefits division. 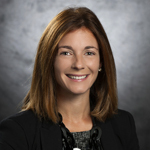 Since that time, Jaclyn has worked up through the ranks of the firm, exhibiting tremendous dedication to get to her current position as Senior Vice President of Meltzer Group Benefits - Small Group. Jack Abel becomes President of Meltzer Group Benefits, which continues to achieve consistent annual growth and is recognized as one of the Largest Employee Benefits Administrators in the Washington Metro Area by the Washington Business Journal. The Meltzer Group is acquired by National Financial Partners; Meltzer Karlin Property & Casualty and Meltzer Group Benefits - Small Group are created. Andrew Prevost joins The Meltzer Group and shortly thereafter launches Meltzer Retirement Plan Services with the mission of providing an innovative, consultative program for retirement plan sponsors. Katie McLaughlin joins The Meltzer Group within the Group Benefits division. Katie has been a leader in the company since her first day and always utilizes her competitive spirit to better the company, whether it's developing new business opportunities for the Small Group division or fielding the best team possible for the annual JDRF Real Estate Games. Jessica Espinoza joins the Meltzer Retirement Plan Services division. She has been instrumental in the exponential growth of the division and has helped MRPS become a thought-leader within the retirement plan consulting industry. Michael Hoch joins the Meltzer Group as the lead Financial Advisor of Meltzer Private Client Services. With the addition of Michael and the MPCS team, The Meltzer Group solidifies it's place as a one-stop-shop for all matters related to your financial life. Founded in 1982 by Alan Meltzer, The Meltzer Group has grown from a single insurance agent to an industry-leading company with nearly 200 dedicated employees in six offices. 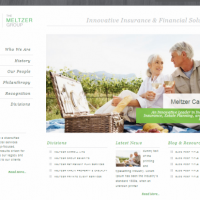 Through exceptional service and innovative problem-solving, The Meltzer Group has expanded its business across five divisions, offering life insurance, group benefits, investment services, retirement plan services, and property and casualty products.